It’s been about six months since my cancer diagnosis, and a few of you have sent kind messages telling me that you are thinking of me and praying for me. I thought I’d take a few hundred words to update you on my health status. 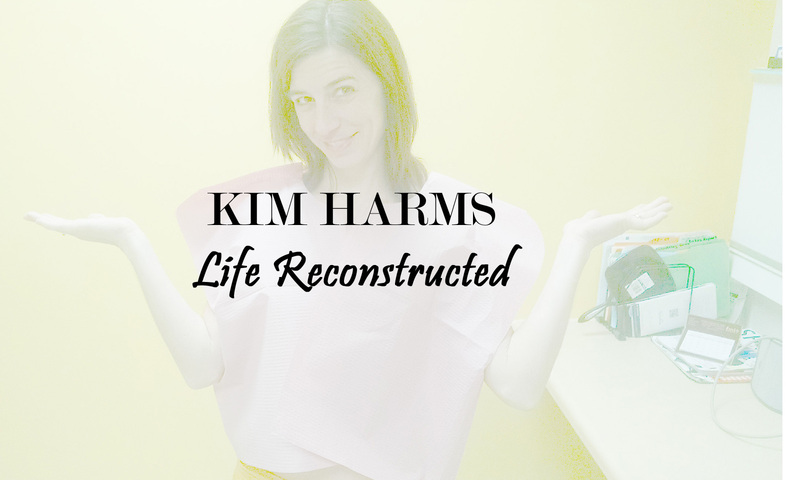 I’m anxiously awaiting my final reconstruction surgery next week which, aside from hormone therapy and regular check-ups with my oncologist, will mark the end of my breast cancer madness. Hallelujah! I’m doing great. I really am. Aside from the crazy discomfort of these awful reconstruction expanders in my chest, I feel normal. I feel healthy. I feel like Kim. If you are curious about expanders, I recommend you google it. But I suggest reading articles written by women who have gone through it instead of articles written by surgeons. Doctors have this thing for substituting the word discomfort for excruciating. They seriously need to work on their vocab. If you are curious if I still trust in God, absolutely. He is good. Always. And he has blessed me in amazing ways over the past few months. I could list dozens of things he has done to show me he loves me lots, but I’ll just share one example to give you an idea. John Piper is one of my favorite Bible teachers, and his words have reached out and grabbed me several times in my adult life. But something he said in a video I watched early on during this cancer year sunk the roots of my faith in Jesus deep down into the dirt. Last month I posted An Open Thank You Letter to John Piper on my blog. And guess what? He responded to that post. How awesome is that? In February, God used John Piper in a youtube video to reach into my heart, and in June he used him once again to remind me that I am loved, and I am cared for. Nowhere in the 66 books of the Bible did God promise that I wouldn’t get cancer. He did, however, promise that he would never leave me. And he reminds me of his presence over and over in the most lovely ways. So happy things are on a positive and you are ending your journey with cancer!! Positive thinking! Prayers to you & your family! Feeling normal is a blessing from God. I praise him for hearing prayers. I will pray for your final surgery and recovery. I’m glad you already know that he is with you.